Bhuna is not a recipe; it is a process similar to braising – the meat is slowly cooked and simmered for hours along with the spices. The slow cooking and browning gives it a complex flavor and a rich texture. It is not everyday that I get the luxurious time to make a dish which takes about 2-3 hours to cook. But the time and the effort is really worth it, The easy way out is to use the pressure cooker of course and that is what I usually do. 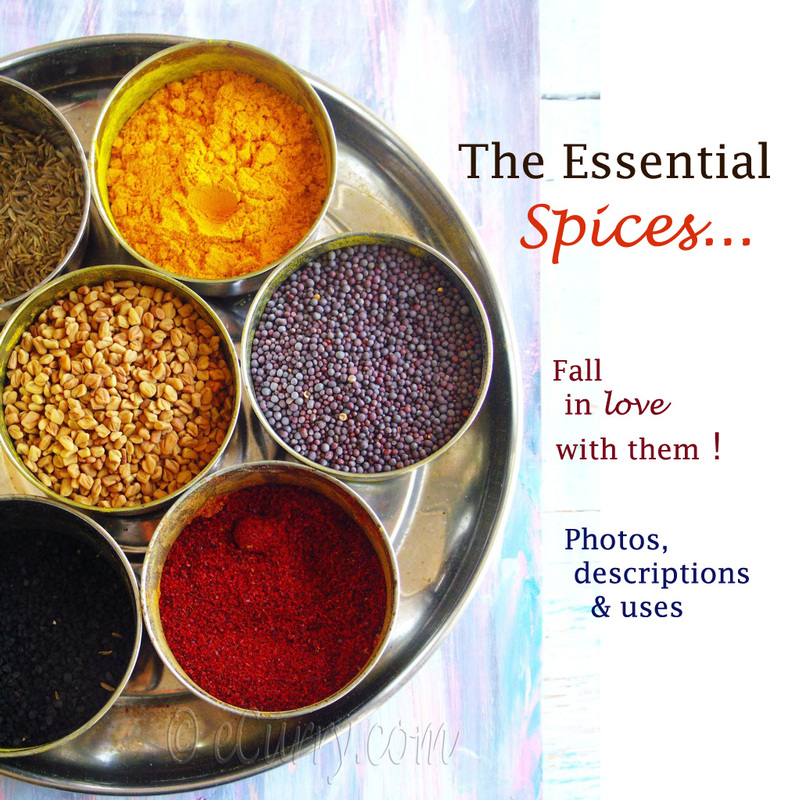 One has to agree that there is an old time charm of food simmering away on the stove for hours, with the aroma of the saffron, cinnamon and other spices dancing and wafting around the house – all of it when you have time. Bhuna Gosht (gosht=mutton) is one of those elegant dishes which will win you heart over right away – tender juicy pieces of meat coated with spices and richly aromatic sauce. And it joyfully reminds me of my childhood and the weekends and the hearty flavors of lunch. Any kind of meat may be used here and cooked in the exact same way. The only difference would be the cooking time as if you use chicken it will obviously cook faster than goat meat, lamb or beef. Wash the meat and pat dry. Combine all the ingredients of the marinade and combine with the meat; toss and let it sit for about 2 hours or overnight if you can. Make a paste with the tomatoes, chili peppers, ginger and garlic. Set aside. Heat oil in a deep thick bottomed pan preferably with a dome cover -( the dome cover easily allows the steam to fall back in the pan and will keep the contents moist). Add the cinnamon sticks, and the green cardamoms. In about half a minute when the spices sizzle, remove the pieces of meat from the marinade (save the marinade) and add it to the pan in a single layer. Cook/brown them on all sides while tossing them when each side has light brown spots on them and when most of the water has evaporated. This might take about 10-12 minutes. Next add the sliced onion and the teaspoon of sugar in the pan. Cook everything together at high heat till the onions start to caramelize/turn golden brown and releases no more water. Combine the red chili powder, turmeric, tomato, ginger and garlic paste with the marinade and 1/2 cup of water.This is the liquid spice mix which will combine with the onions to make the final sauce. Once the onion starts to brown, add the bay leaves, nutmeg, mace, saffron and the split black cardamoms to the pan. Lower the heat, and add the above ginger garlic tomato mix the pan. Cook the meat and the onions at low heat, often moving them around so they do not stick at the bottom. Whenever you see it get too dry, add a little bit of the liquid. Partially cover the pan in between cooking. When all the liquid spice mix is gone, the meat in the pan should look like it has a thick coating of the onion and other mix. Now add about 2 cups of water or just enough to cover the meat half way through, and cover the pan tightly. Cook at low – medium heat for about an hour. Occasionally stir the contents in the pan and scrape off any deposits at the bottom of the pan while it is getting cooked. Uncover and check to see if the meat is tender. If the liquid has reduced and the meat is still not cooked through, add some more water (about a cup) and cover as cook as before, till the meat is so tender that it comes off the bone. Depending on the kind of meat, it might take as long as 2 hours. When done, the meat should be really tender and there should be some sauce/gravy left in the pan – about a couple of tablespoons of sauce for every piece of meat. Drizzle some lemon juice and garnish with fresh coriander/cilantro. Serve with rice, flat breads or nice crusty bread to dip in the sauce and mop it off. 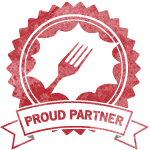 October 27th, 2010 | Category: Curries, Main, Entrees etc, Meat & Poultry, Sides & etc. I just happen to see my bloglist and I see this…my mouth is literally watering..i want this now. I love the bone-in braised meat! So yummy! Somehow I think being bone-in meat, the dish is extra delicious! 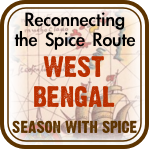 Love the spices used here…I’m sure this would be equally delicious with goat too. Thanks for sharing! Wow Soma.. that looks lovely. I love your non-veg dishes! A wonderful dish! So tasty. 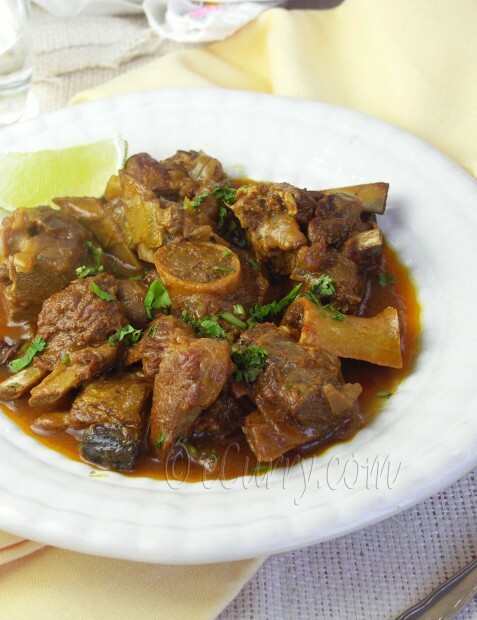 I love meat with bones the curry then have more flavour, how iwish we got mutton here. looks so so good. 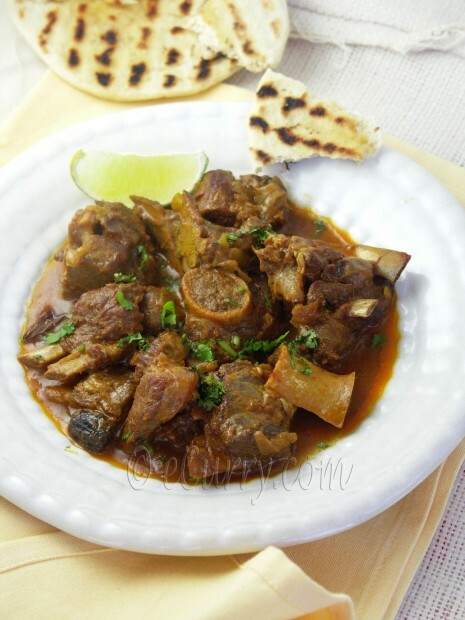 Wow… Bhuna gosht looks delicious! Love the color you got on that gosht there. I always like to do my bhuna with goat meat. Nothing like a pot of slow-cooked mangsho. Perfect with rotis. Yummy !. I love it. Wish I could have it from the pic itself. What cut of mutton/lamb/goat did you use? It looks like leg, but I want to be sure. It was goat meat – a mix of shoulder and leg. 🙂 Thank you for your appreciation and the time Tandra. 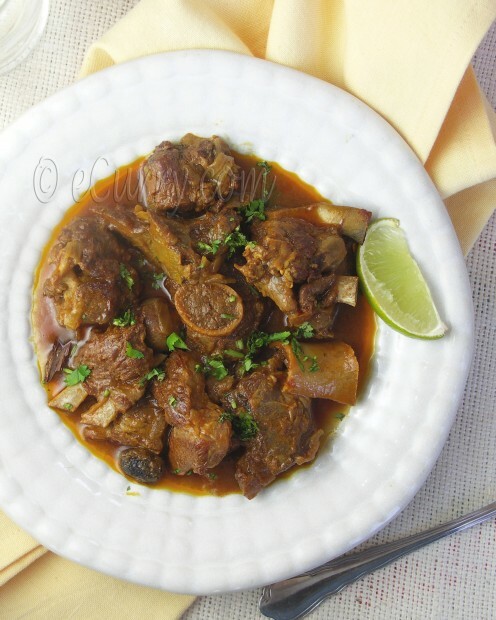 Oh Soma, this Bhuna Gosht recipe looks divine! I love the taste of slow cooked meat with spices~ truly a luxurious feast! Ted would LOVE that dish. I might just embark on that adventure for him. Wondering what I can sub to make it vegetarian for me? Maybe beans but leave out the marinade. Slow cooking is always the best for goat or lamb. 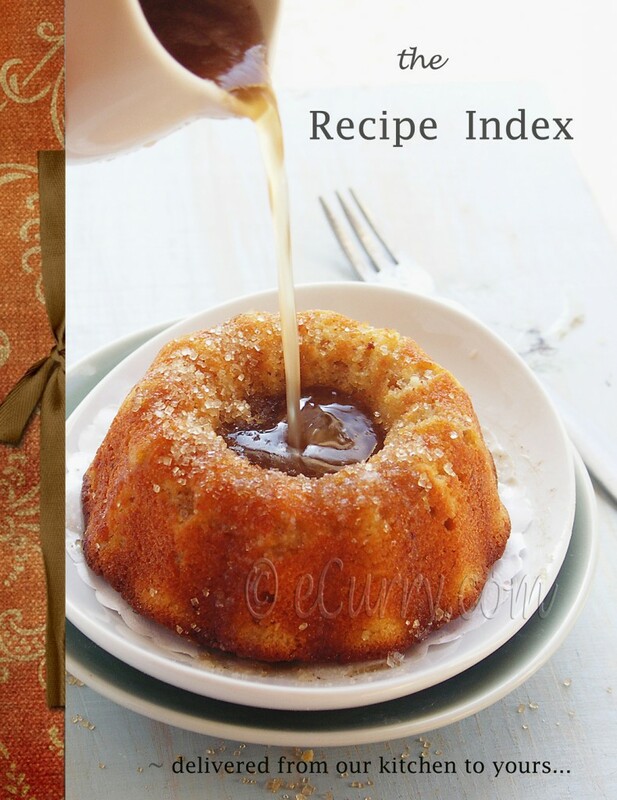 This one should be a winner recipe! Looks great. My bf would love it! oh my! i am loving this dish! soma it’s bookmarked for the weekend! Made this for my husband yesterday and the house still smells wonderful from cooking all afternoon. Looking forward to trying another of your beautiful recipes next weekend! 🙂 Happy that you liked it. Thank you for letting me know! Great recipe! Loved it! Easy to make and my family loved it. It tasted amazing and my husband said it was the best food I’ve ever cooked and my kids loved it so much, they even took it to lunch for school! Wow! Best recipe site ever and definitely favouriting it. Thank you and keep up the good work! Thank you very much for this recipe. I have a supplier of mutton right up the road from me and that is the meat we used. I love Bhuna and so does my family. When we cooked your recipe we made a real evening of it. I cooked away at the bhuna while my wife and three kids kneaded and baked the naans. I must say we all loved your recipe and will be making it again. 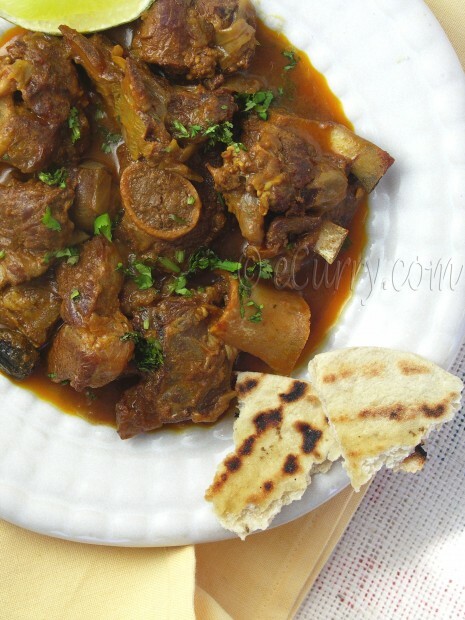 I am always on the look out for great curry recipes and definitely found one in your mutton bhuna. •Take a pan. Add the chopped onions. •Also add the garlic, small onions and mutton. •Add some ginger garlic paste and chillies. •Add the bay leaves and cardamom. •Put green coriander and some cumin seeds. •Then add the black pepper. •Take the cloves and add half a cup of mustard oil. •Mix and cook this well. 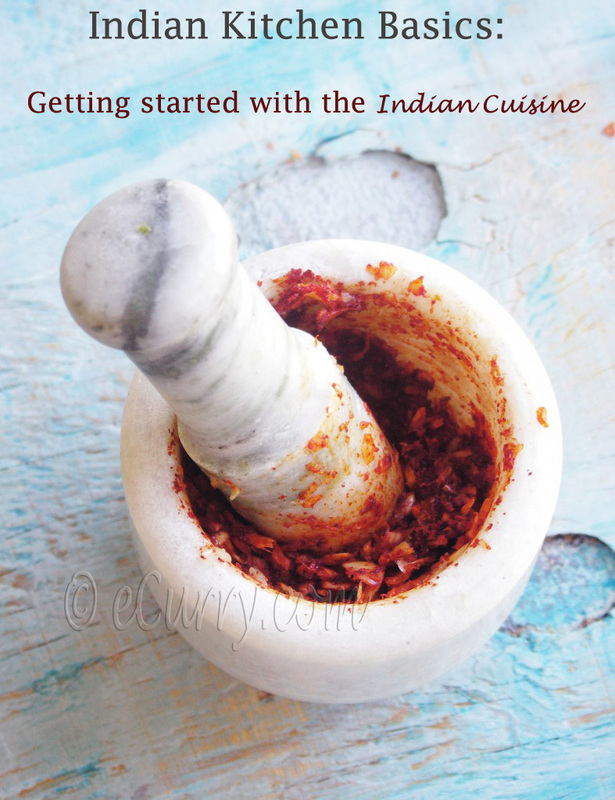 •Now add the meat masala and keep stirring. •Add some salt and curd and stir well. •Cover for some time and cook it on a slow flame. •Cook for 2 hours and serve hot.